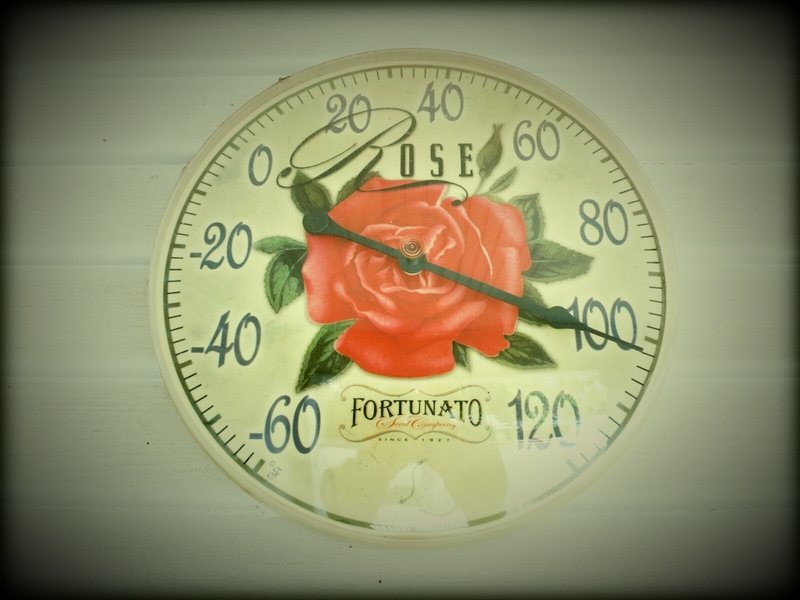 It is very hot during the 5:00 pm hour here in the Livermore Valley. When it is this hot, our city becomes a ghost town until the sun goes down. Hopefully the ocean breeze makes it to the valley later this evening to cool us off. In the mean time, Maggie is insisting it is dinner time and I’m staying cool thanks to air conditioning. Not much to do so I have experimented with the photo editor while watching the NASCAR Pocono race. Maybe it will cool off later this week to allow for a hike during the sixth hour. If you’re interested in learning more about or joining the 1 Day 1 World Project, you can read Lisa’s introduction by clicking on this link. Official high today reached 104°. It is 90° now at 9:20 pm. Same forcast for tomorrow. The AC will get fixed as soon as we return July 25th. And if it’s not, I’m heading straight back to the hotel. I don’t blame you one bit. When I got off yesterday it was only 90 degrees and I thought it was cool. The ocean breeze came in yesterday evening and cooled us off. Both Maggie and I were happy because we were able to get out for a long walk without overheating. Fortunately I now have an empty basement that I can use as a place to escape the heat if the AC ever fails. There is always a silver lining. 🙂 Enjoy your time in NYC. In a hot climate it make a lot of sense. But in the end it comes down to cost. The less they pay to build the house the more money they can put in their pockets. If all the builders put in basements, then the playing field would be level. You could always be a glutton for punishment, like myself, and by an old house with a basement. But then again, any old houses in Las Vegas may be too close to the old Strip. I could be wrong on this one since I have not visited Las Vegas for a very long time.